Vaccine Rates Against Shingles, Flu And Pneumonia Still Lag : Shots - Health News Beyond annual flu shots, older adults need protection against shingles, pneumonia, tetanus, diphtheria and pertussis, federal health officials say. But many aren't getting vaccinated. Cost, procrastination and a lack of insurance coverage are just a few of the reasons adults give health care providers for not getting vaccinated against shingles and other illnesses. "I'm healthy; I'll get that when I'm older" is what adult patients often tell Dr. Michael Munger when he brings up an annual flu shot or a tetanus-diphtheria booster or the new shingles vaccine. Sometimes, he says, they put him off by questioning a vaccine's effectiveness. Munger, a family physician in Overland Park, Kan., who is president of the American Academy of Family Physicians, says he gets more pushback from adults about getting their own vaccines than about immunizing their children. "As parents, we want to make sure our kids are protected. But as adults, we act as if we're invincible." 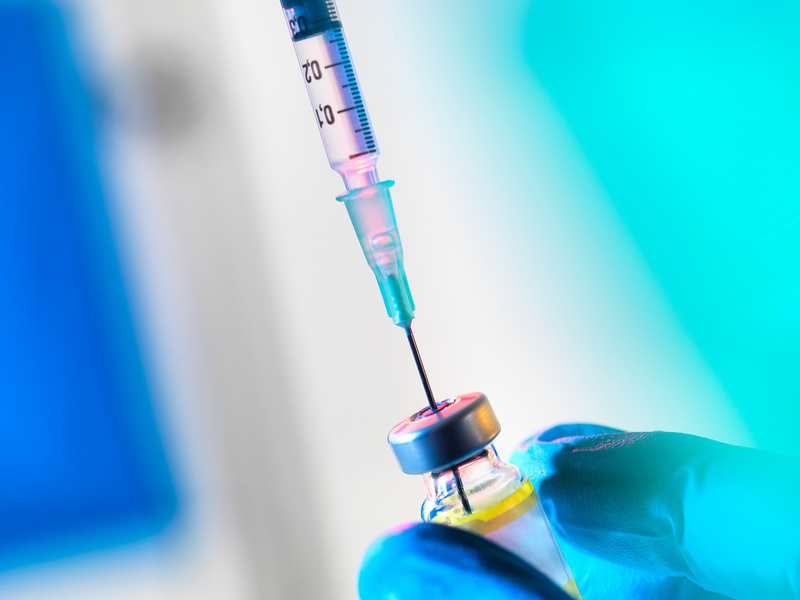 The new schedule for adult vaccines for people age 19 and older has been updated in the last several months by the federal Centers for Disease Control and Prevention's Advisory Committee on Immunization Practices. The most significant change was to recommend Shingrix, the shingles vaccine that was approved by the Food and Drug Administration last fall, over an older version of the vaccine. Shingrix should be given in two doses between two and six months apart to adults who are at least 50 years old, the CDC says. The older vaccine, Zostavax, can still be given to adults who are 60 or older, but Shingrix is preferred, according to the agency. In clinical trials, Shingrix was 96.6 percent effective in adults ages 50 to 59, while Zostavax was 70 percent effective. The differences were even more striking in older age groups: Effectiveness in adults 70 and older was 91.3 percent for Shingrix, compared with 38 percent for Zostavax. Shingrix also provided longer-lasting protection than Zostavax; the older vaccine's effectiveness waned after the first year. The CDC's guidelines suggest that people who have already had the Zostavax shot be revaccinated with Shingrix. The two-shot series of Shingrix costs about $280, while Zostavax runs $213. "What's remarkable [about the new vaccine] is that the high level of immunity persists even in the very old," says Dr. Anne Louise Oaklander, a neurologist at Harvard and Massachusetts General Hospital who studies the complications that can arise with shingles. Shingles is caused by the same varicella-zoster virus that causes chickenpox. The virus can re-emerge decades after a recovery from chickenpox, often causing a painful rash that may burn or itch for weeks before it subsides. About 1 in 3 Americans will get shingles during their lifetime, according to the Centers for Disease Control and Prevention; there are roughly 1 million cases every year. People are more likely to develop shingles as they age, as well as develop complications like postherpetic neuralgia, which can cause severe, long-standing pain after the shingles rash has disappeared. In rare cases, shingles can lead to blindness, hearing loss or death. Although shingles vaccination rates have inched upward in recent years, only a third of adults who were 60 or older in 2016 had received the Zostavax vaccine, the CDC says. Many adults seem to skipping other recommended vaccines, too. Typically, about 45 percent get the annual flu shot, and only 23 percent of those the CDC says should get the pneumococcal and tetanus-diphtheria-pertussis vaccines are up-to-date with those immunizations. In contrast, by the time children are 3 years old, typically more than 80 percent (and more than 90 percent, in the case of some vaccines) have received recommended immunizations. Why the discrepancy between kids and grown-ups? Cost can be a big deterrent for adults who are considering some vaccinations. The federal Vaccines for Children Program helps parents whose kids are eligible for Medicaid or are uninsured cover the cost of vaccines up to age 19. Adults with private insurance who get vaccines recommended by the CDC are sheltered from high costs because (under the Affordable Care Act) the shots must be covered by most commercial plans without charging consumers anything out-of-pocket. Still, patients, should confirm their coverage before requesting the new shingles vaccine, health care providers say; insurers typically add new vaccines gradually to their formularies after they have been added to the recommended list. So some consumers may need to wait a little while before their insurer covers Shingrix. Vaccine coverage under the Medicare program for people age 65 and older tends to be much less comprehensive. Vaccines to prevent influenza and pneumonia are covered without a copayment under Medicare Part B, which covers outpatient care, while other vaccines — including the shingles vaccine — are typically covered under Part D drug plans. And those Part D plans may leave some beneficiaries on the hook for all or part of the cost of the two-shot series. That can pose a significant problem for patients. "Not every Medicare beneficiary elects Part D, and even if you do, some have deductibles and copayments," says Dr. William Schaffner, an infectious-diseases specialist at Vanderbilt University School of Medicine. And even if adults want to get their recommended shots, some lose track of which they have already received and when. Pediatricians routinely report the vaccines they provide to state or city vaccination registries that electronically collect and consolidate the information. But the registries are not widely used for adults, who are more likely to get vaccines at various locations, such as a pharmacy or at work, for example. "I'm always asking patients, 'Did you get all the doses in the series?' 'Where did you get them?' " says Dr. Laura Riley, vice chairwoman of obstetrics at Boston's Mass General Hospital, and a member of the CDC's Advisory Committee on Immunization Practices. "It can be very challenging to track." Kaiser Health News is an editorially independent news service that is part of the nonpartisan Henry J. Kaiser Family Foundation. Michelle Andrews is on Twitter @mandrews110.